Hello ladies I’m back on track again as I was busy in my wedding. I will share all the details about my wedding makeup and the services that I got from Kashee’s in a separate post. 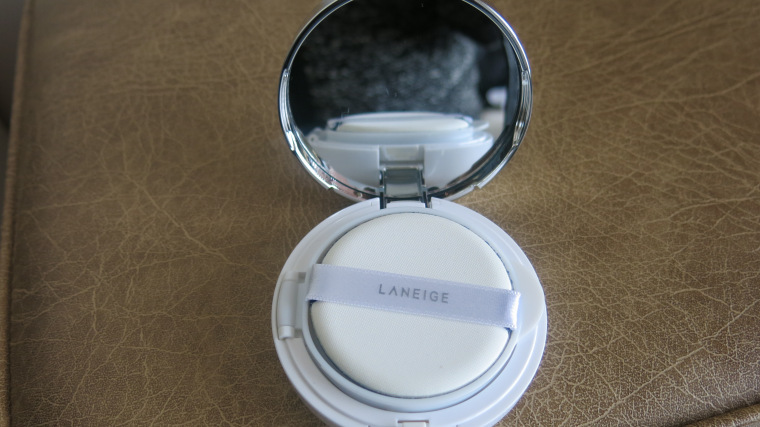 But for now I am sharing a review on BB Cushion from Laneige. I bought this product from a local drugstore and it’s my first experience with a BB Cushion. At first I thought it was different than a BB Cream but then I researched a bit and found out that there was no difference in Cushions or Creams. I mean it’s merely a marketing term to confuse people with different packaging and nothing else. Laneige BB Cushion is a cushion product with semi-matte BB Cream that can be wore by pressing the included puff against your face. It does not come in a tube or bottle but it actually comes in the form of a compact foam (cushion) that is pre-filled with the gel like BB Cream in the compact box. You can simply wear it with a few puffs that would not only hydrate your skin but also hide the imperfections on your skin with a semi-matte finish. You can also opt for a free refill one-time but unfortunately I cannot have this option here in this region but you can get one refill every time you buy it in USA and European countries. Laneige BB Cushon Pore control was first launched with four shades earlier but now they are offering a very good range of nine different shades. 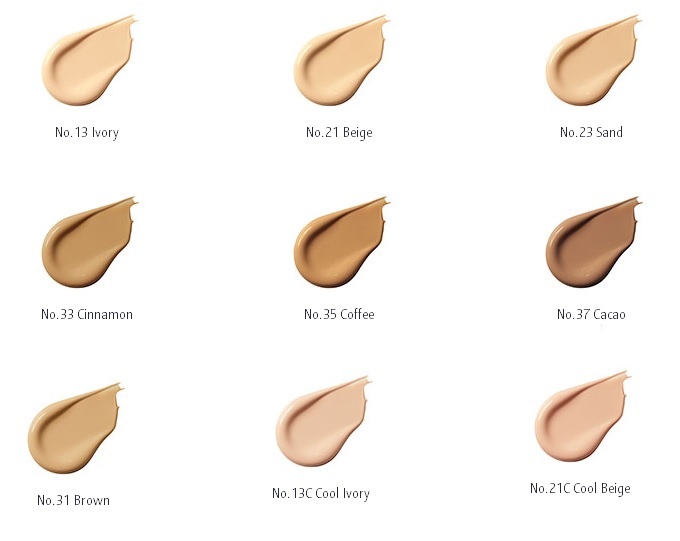 The Shade range includes ivory being the lightest and Cacao being the darkest shades and this review is based on Shade # 23, Sand. According to Laneige this Cushion brightens your skin within a few puffs and hides the blemishes and irregularities of the skin immaculately. The BB Cushion comes with an SPF-50+ and PA+++ UV protection that protects your skin from the damaging sun rays. You do not need any other moisturizer because it has gotten all the good moisturizing properties. 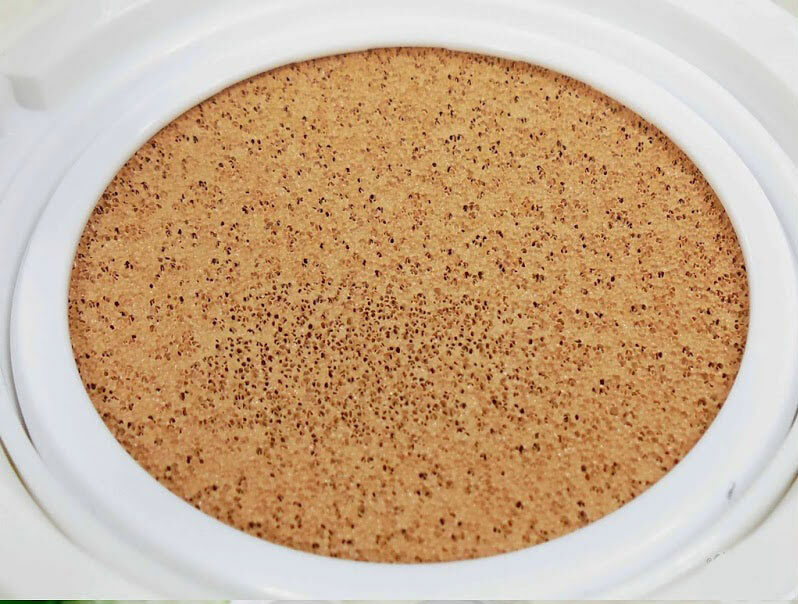 The BB Cushion offers a semi-matte finish that gives you natural and oil-free look. The BB Cushion soothes your skin with its cooling properties and repairs sun burns. The Laneige BB Cushion is water resistant and can easily last for 12 hours. 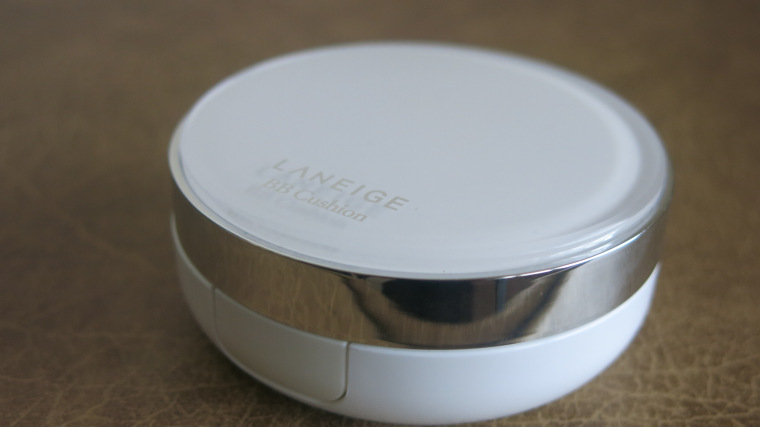 Laneige BB cushion inspired me a bit with its innovative presentation and application. The packaging certainly came as a surprise to me as I was expecting a bottle or a tube like Maybelline's BB Cream but it was entirely different. As far as the product is concerned it was pretty much the same thing (a BB Cream). First of all its light weight and compact; you can easily carry it in your bag without any hassle. The applicator is pretty good, you do not need to worry about over spilling the product at all. It pats the product on face evenly and you can easily blend it without caking your face. The product is light weight and the texture is really smooth unlike the greasy feeling you get in most of the BB Creams. With just a few pats you can blend the product on your face and it does a pretty nice job to cover your pores and blemishes. 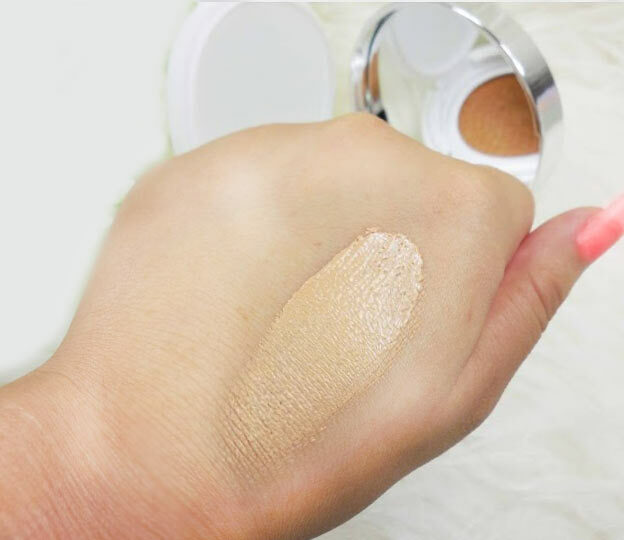 You can easily build from full to medium coverage without caking your face. It settles-in perfectly into your pores and hides all the irregularities nicely leaving behind nothing but smooth skin. The Laneige BB cushion offers a semi-matte finish that looks flawless on the girls with oily or combination skin type. Another added benefit of this cushion is that it enhances your complexion nicely and it does give your skin a serene feeling. I have been using this product for almost two weeks but to be honest it has really inspired me after an average experience with IT Cosmetics CC Cream. The added SPF factor with oil control formula makes it an ideal choice for outdoor activities, so yeah you get the ultimate UV protection with a natural look. 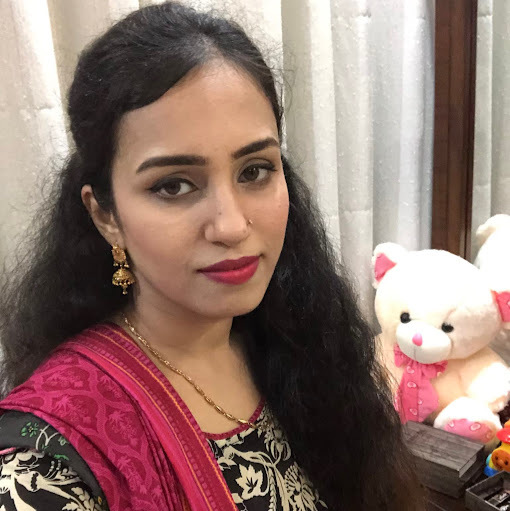 Another added benefit is the smell of this product that is light and pleasant unlike some irritating chemical smell that I have experienced with the Colorstay foundation. Moreover, if you are into flash photography and love a dewier look then I would say it is not going to inspire you at all. I like more of a natural look and this cushion is doing more than a good job for it. The staying power of this cushion is amazing, it can easily last around 6 hours without breaking your skin. The best thing is that can easily handle your sweaty skin and keeps the finishing flawless. I have a combination skin type and I am sure that it can last longer than six hours on dry skin easily. 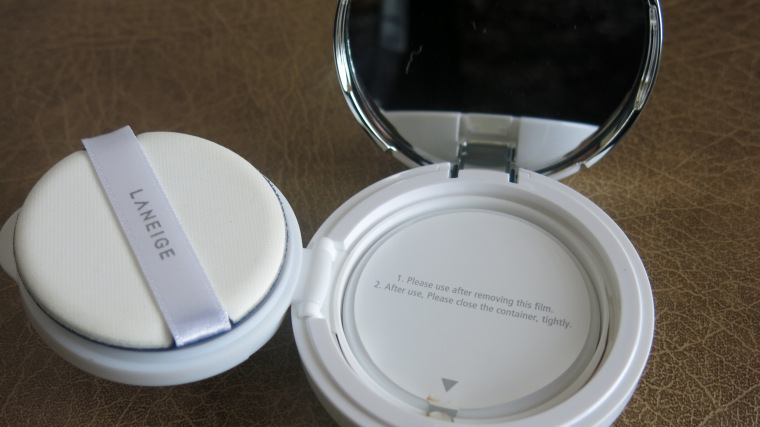 The Laneige BB Cushion comes in a handy packaging. Does not cake your face. Hides blemishes and covers pores nicely. The Broad spectrum protection and oil control formula works nicely. You can have one free refill with every single purchase. A bit expensive compared to the other similar products. Cannot conceal large pores perfectly. 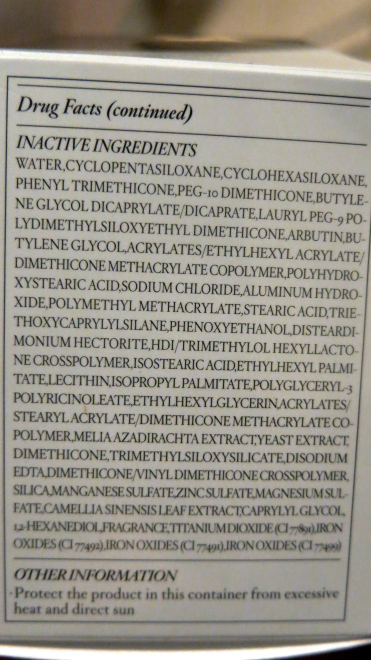 May cause irritation on skin because of the fragrance formula. The skin cooling effects lasts barely for fifteen minutes. Not ideal for flash photography. 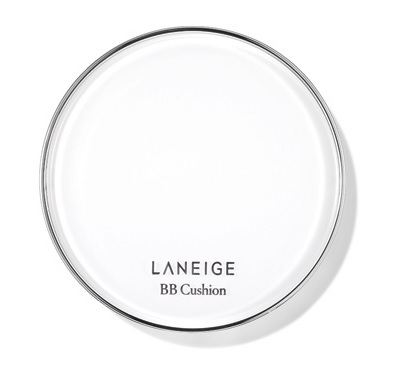 Laneige BB Cushion Pore Control SPF 50+ PA+++ is an excellent product that allows you to skip the primer and concealer (in most of the cases) and have makeup on go with a few puffs. Overall an elegant product that comes with SPF 50+ and gives you a natural look in a very short time. For office-going ladies it is very good choice that can last easily for more than six hours without breaking their skins. I rate this product 8.5 out of 10. 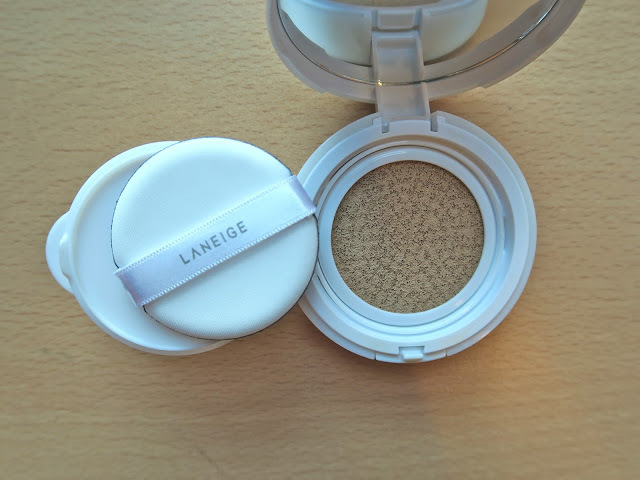 When to apply Laneige BB Cushion? You can apply Laneige BB Cushion right after cleaning and moisturizing your face. A good practice is to use a nice face cleanser first then moisturize your skin and then go for the BB puffs. Always make sure that your puff is moist, you can use a few drops of water to dampen the sponge if it is parched to the touch. Is Laneige BB Cushion non Comedogenic? Yes, it is absolutely non-comedogenic. 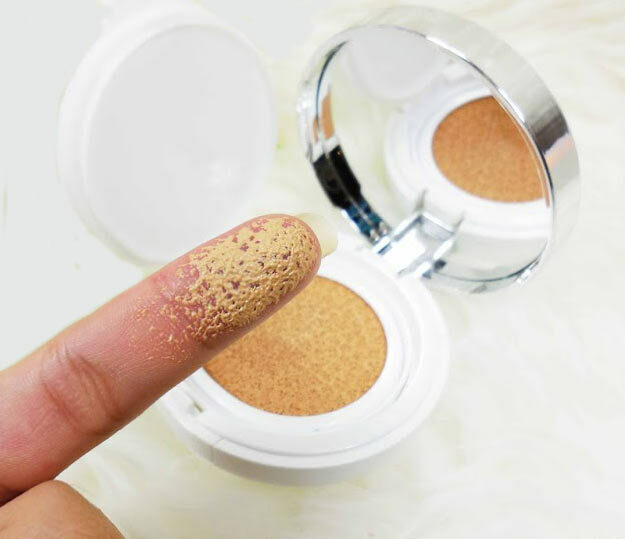 How to refill Laneige BB Cushion? You can visit your nearby drugstore that is offering Laneige's product and get your refill from there. Is Laneige BB Cushion good for oily skin? You, it works amazing on oily and combination skin types. How to clean Laneige BB Cushion sponge? You can soak the sponge in oil cleanser for a few minutes and simply wash it off. You can also use a simple face wash to do the same thing. Is Laneige BB Cushion waterproof? You its a waterproof product and it can easily control excessive oil and sweat on your face. How long does Laneige BB Cushion last? It can easily last for six hours but with a few retouches you can wear it all the day. Is Laneige BB Cushion oil free? You it is an oil free product. Does Laneige BB Cushion have some fragrance? No, it does not have any fragrance at all. Does Laneige BB Cushion clog pores? No it does not clog pores but I highly advise you to use the makeup cleanser regularly with it.